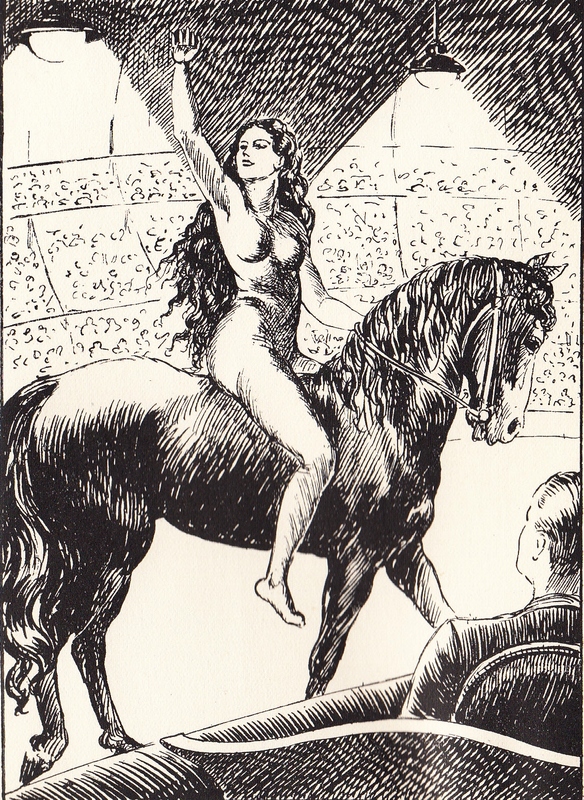 January 1, 2016 January 1, 2016 / Steve M.
This is the one of a short series of listings featuring” Orties Blanches”, titles from the 1930’s which is rapidly evolving into the period of the greatest interest for me, primarily because of the style and content of the illustrations across a wide range of competing publishing houses, and also of the artists themselves and the mystery surrounding the identity of particular individuals. 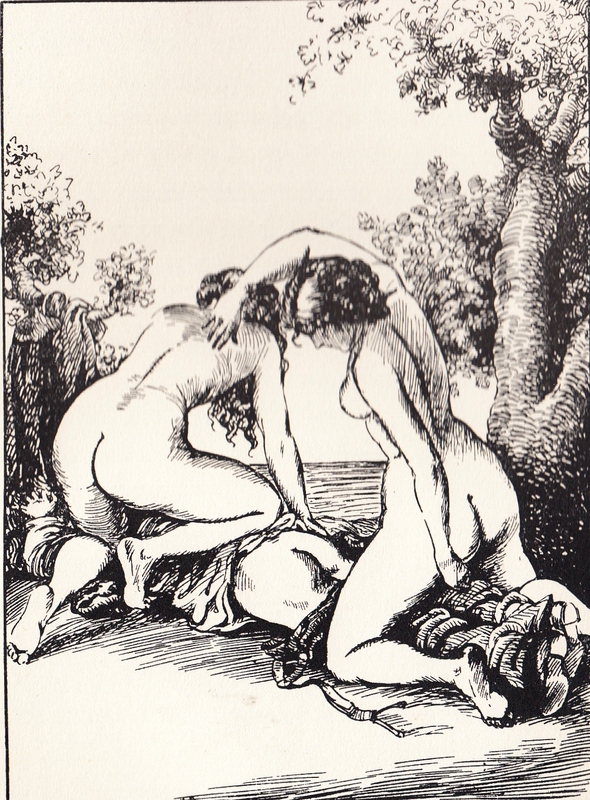 This is the second, of only two titles , in this genre at least, that I can find illustrated by “Davanzo”, the other “L’Éducation de Chérubin”, published in the same series, was in a limited edition with engraved plates, the current title, is a much cheaper production, and actually pre-dates the “Cherubin” by a month, being published on 30 Dec 1933. Having nearly convinced myself the “Davanzo” and “Wighead”, are possibly one and the same person, I am not so sure, the 8 illustrations from this title, are very sketchy in comparison, to “L’Éducation de Chérubin”, but as stated above, this is a much cheaper production, on very poor quality paper. 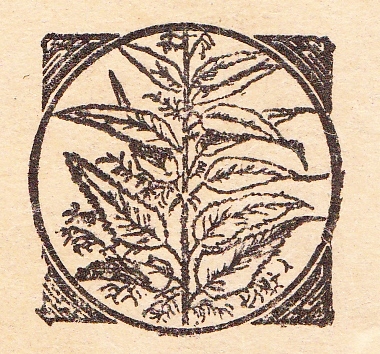 I still think you can see hints in some of the illustrations that display a similarity in style, and unless someone can provide me with information, of a “Wighead”, illustrated title , in this genre, that pre-dates December 1933, then , if not the same person, “Wighead” may well have taken inspiration from “Davanzo”. LENNOX, Daisy. 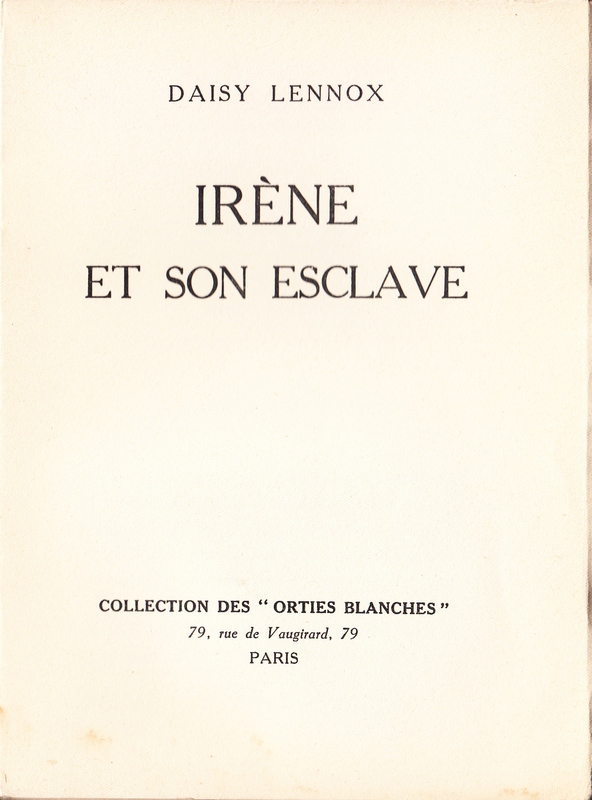 —Irène et son esclave. 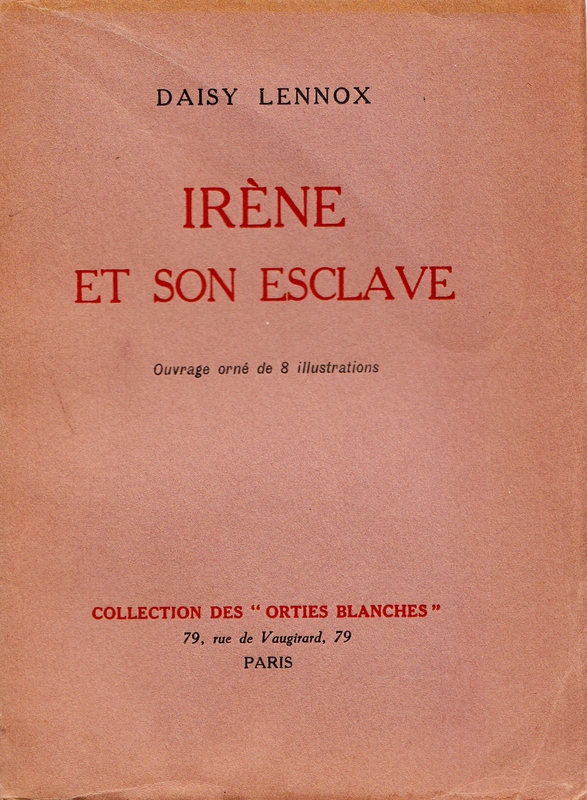 Paris: Collection des Orties blanches, 1933. 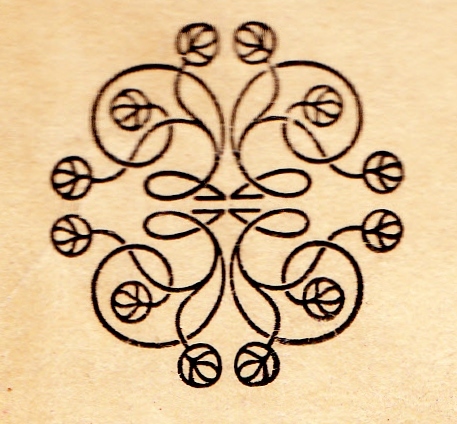 In-16 (19 cm), 245 pp., 8 illustrations (uncredited), but according to catalogue entries, illustrated by “Davanzo”, printed December 1933. Prosecuted in 1953, appeal denied in 1954.